Located in Sidney, a charming seaside town 20 km away from Victoria, this property includes an existing rental residential building, Roberts Manor, along with an additional development area with frontage on Fifth Street. Robert’s Manor is an exceptionally well maintained, fully leased, 60 suite, 4-storey apartment building accessible from Malaview Avenue. 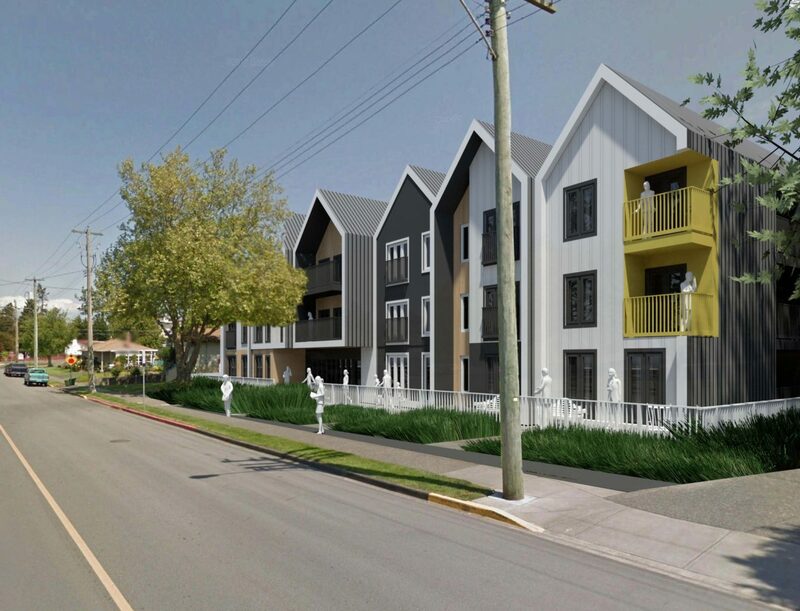 A new 73 unit, 3-storey rental residential apartment building with underground parking is currently under development neighbouring Robert’s Manor. This additional development will bolster this location as a key apartment building site within the city. The property is in the heart of the well-connected and friendly North-East neighbourhood. It’s in close proximity to the downtown area and within a few minutes walking distance to the beach, extensive waterfront walkways, parks and marinas. Victoria International Airport, Swartz Bay Ferry Terminal and the Anacortes, WA Ferry Terminal are all within a 10-minute drive, while downtown Victoria is only 25 minutes away. Known for its’ spectacular seaside scenery, mild climate, character, sense of community and exceptional whale watching and scuba diving, it also boasts great restaurants, hotels, shops, and galleries, and is in close vicinity to several wineries, state-of-the art meeting and convention facilities and spas. This ideal setting to call home has been attracting long term tenants for many years and continues to beckon new residents.